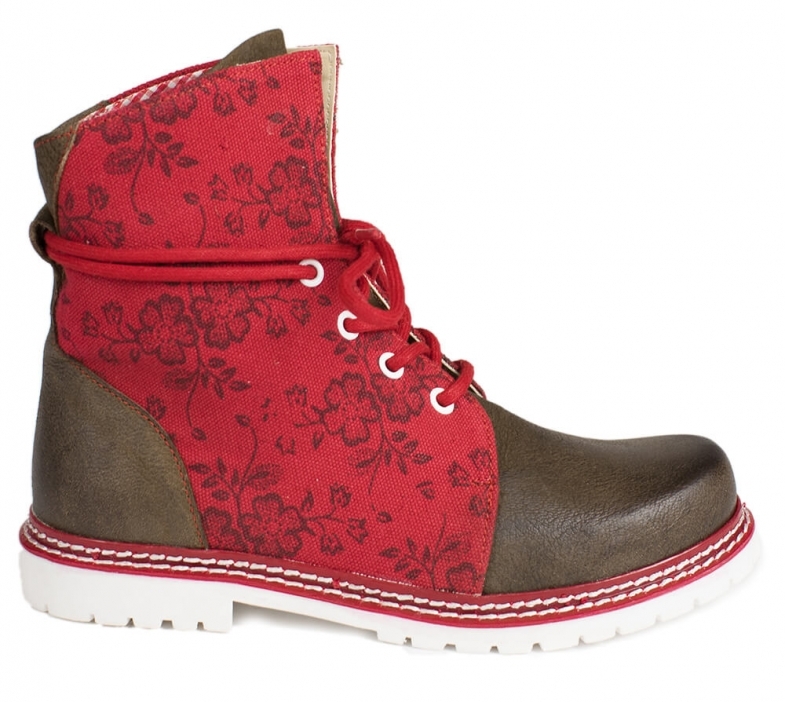 Janina women’s red rustic boots. These bright and bold red boots have been created for you to wear to Oktoberfest and it is accompanied with plenty of modern flare. Made from 100% leather, they boast red side panels stamped in a floral pattern that perfectly complements the chocolate brown toes and backs and are held in place with bright red laces up the fronts.